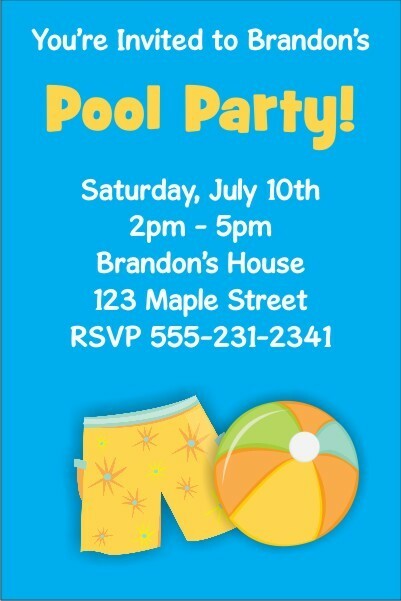 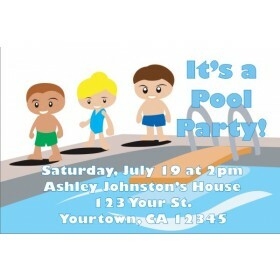 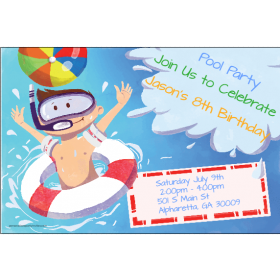 Pool Party Invitations 7 - Boy Pool Party. 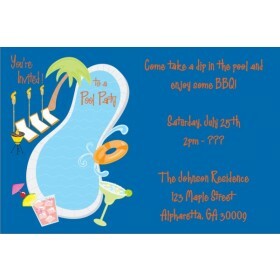 Invite friends and family over for a dip in the pool with this pool party invitation. 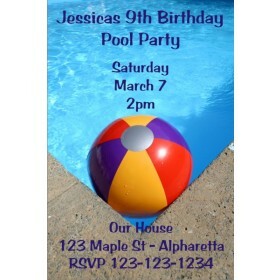 It features a blue background with boy swimtrunks and a beachball.